The summer solstice is here, that enchanting day each year when sunlight reigns supreme and nighttime almost seems like an afterthought. It is the longest day and shortest night in the Northern Hemisphere and traditionally considered the first day of summer — even if it has felt like summer for a while now. The 2018 summer solstice occurred at 6:07 a.m. on Thursday, June 21. Whether it is your first time learning about the solstice or you are looking for a refresher, here are five things you need to know. 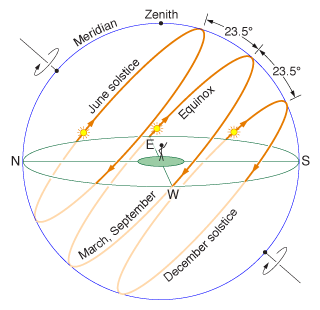 The reason we have solstices, and seasons, is because Earth is tilted on its axis about 23.5 degrees. 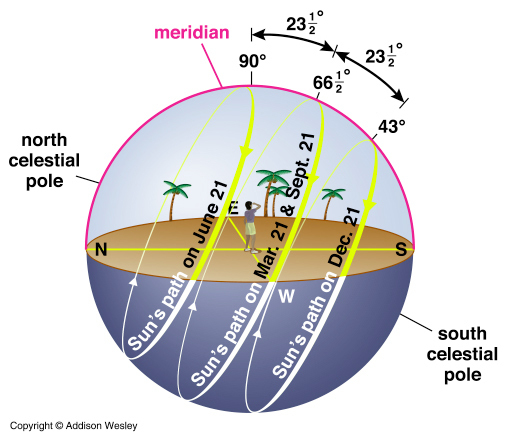 This causes each hemisphere to receive different amounts of sunlight throughout the year. In June, the Northern Hemisphere is at its greatest tilt toward the sun, bringing us more direct sunlight and warmer temperatures. It’s the opposite south of the equator, where June 21 marks the shortest day of the year. This map by Alaska-based climatologist Brian Brettschneider shows the number of daylight hours across North America on the longest day of the year — from 24 hours north of the Arctic Circle to less than 14 hours in southern Florida. Not exactly. June 21 has the longest daylight period in the Northern Hemisphere, but in many places the latest sunset occurs several days later. Similarly, the earliest sunrise is usually about week before the solstice. This astronomical quirk is the result of Earth’s tilt and the fact we do not orbit the sun in a perfect circle.